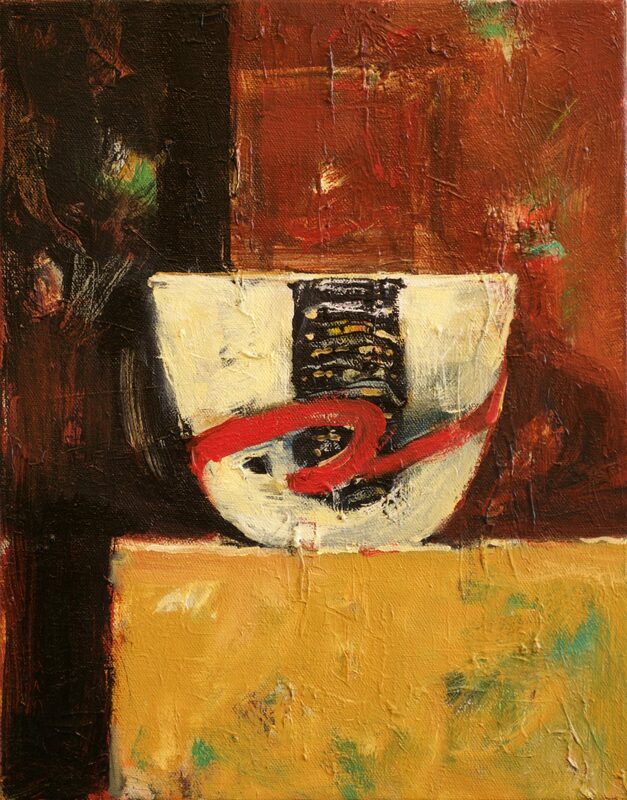 Pat Mahony Naked Winter -Liquid Amber, 2017 oil on canvas, 84" x 84"
Pat Mahony Dragon Swirl Cup, 2018 oil on canvas , 14" x 11"
Pat Mahony African Winter, 2019 oil on linen, 36" x 48"
Pat Mahony Tiny Animal Cup, 2017 oil on canvas, 10" x 10"
Pat Mahony, long associated with the Sacramento Valley School, creates lush landscapes and poignant still lifes, which reflect years of study of the characteristics of light. 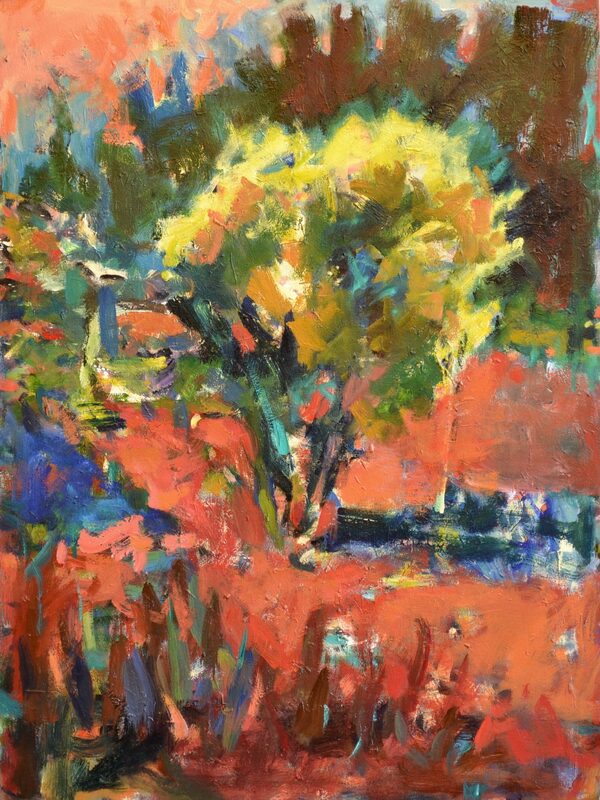 As her work has evolved from urban scenes, to river landscapes and then to still lifes, Mahony has maintained an abstracted view of her subject matter while exploring color and drama through the contrast of light and dark. 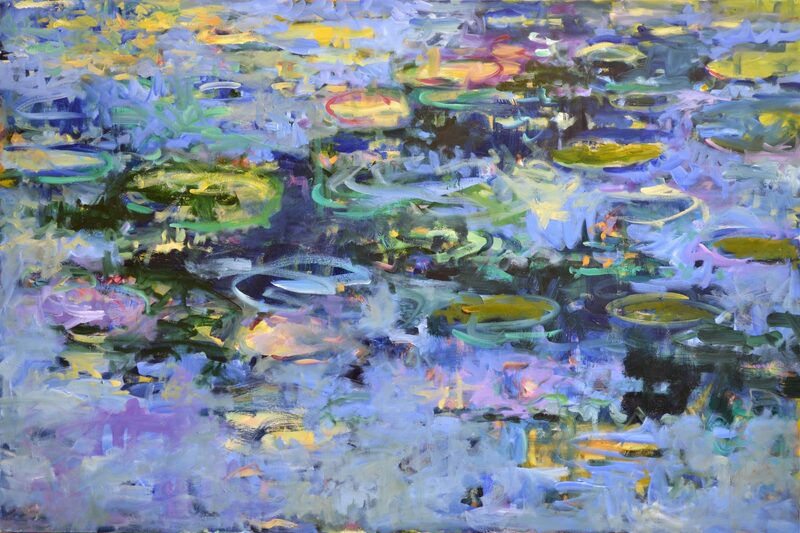 These elements have remained the central focus of her journey as an artist, whether painting in watercolors, gouache or oils. 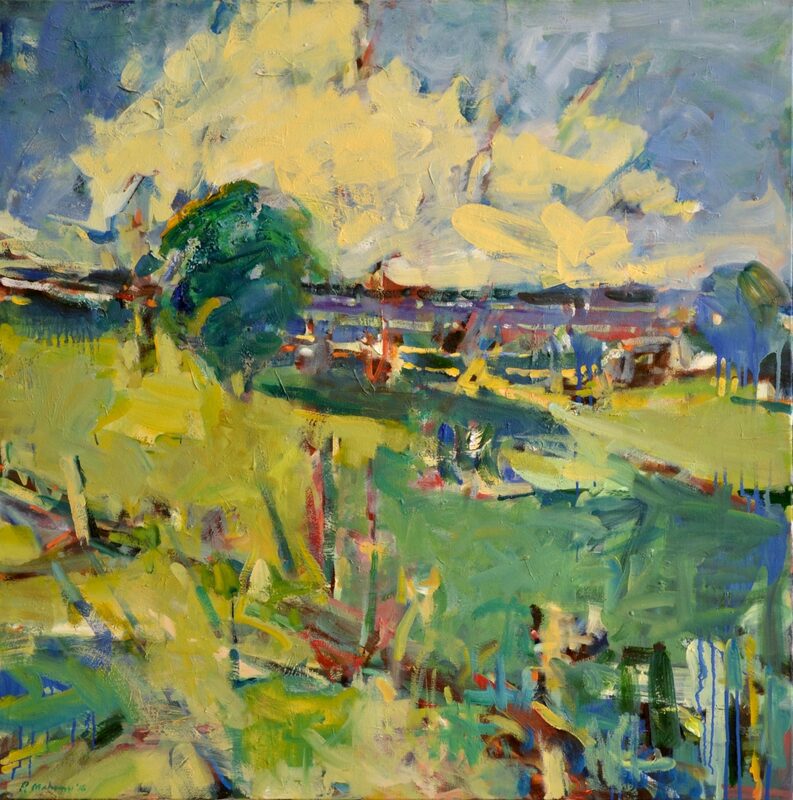 A move from East Sacramento to the Garden Highway in 1988 proved significant—Mahony began to capture the river landscapes and local farmland visible from her studio. 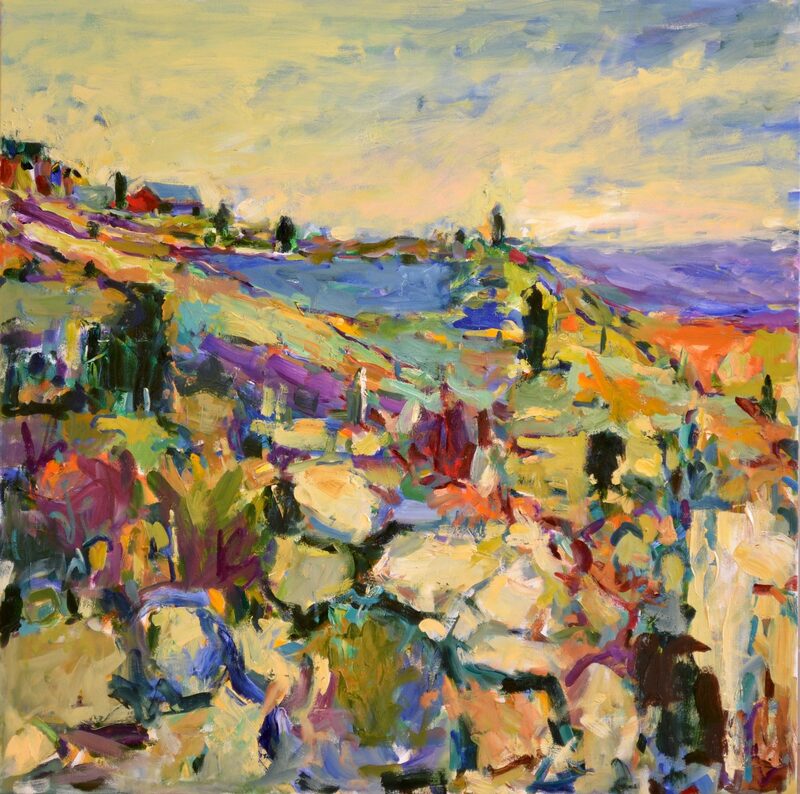 For the next fifteen years, Mahony interpreted these vistas in oils, utilizing the medium to achieve saturated tones and compositional depth. 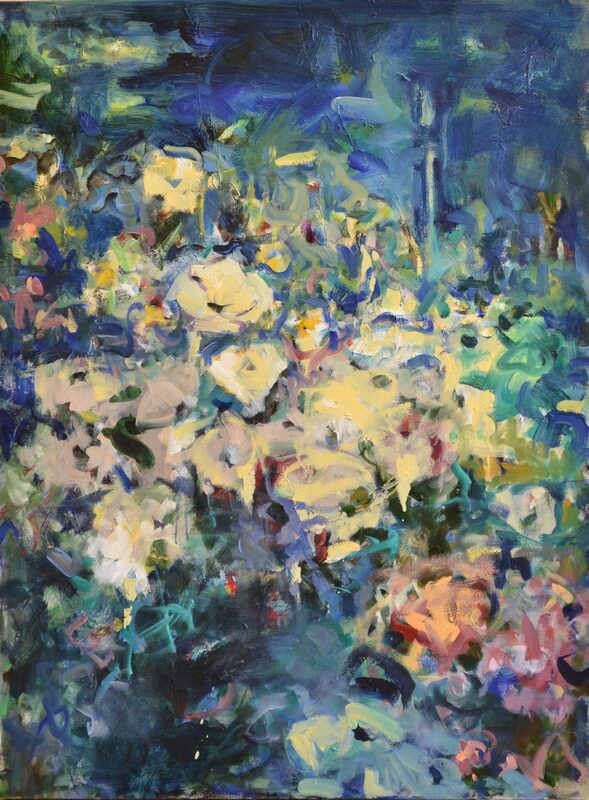 In transitioning from watercolor to oil, Mahony carried over her signature “flecks”—more carefully developing the layered bursts of pigment built up throughout the painting—giving the compositions a more tactile, three-dimensional quality. Throughout this landscape/riverscape period, she eagerly experimented with the transitional characteristics of illumination. 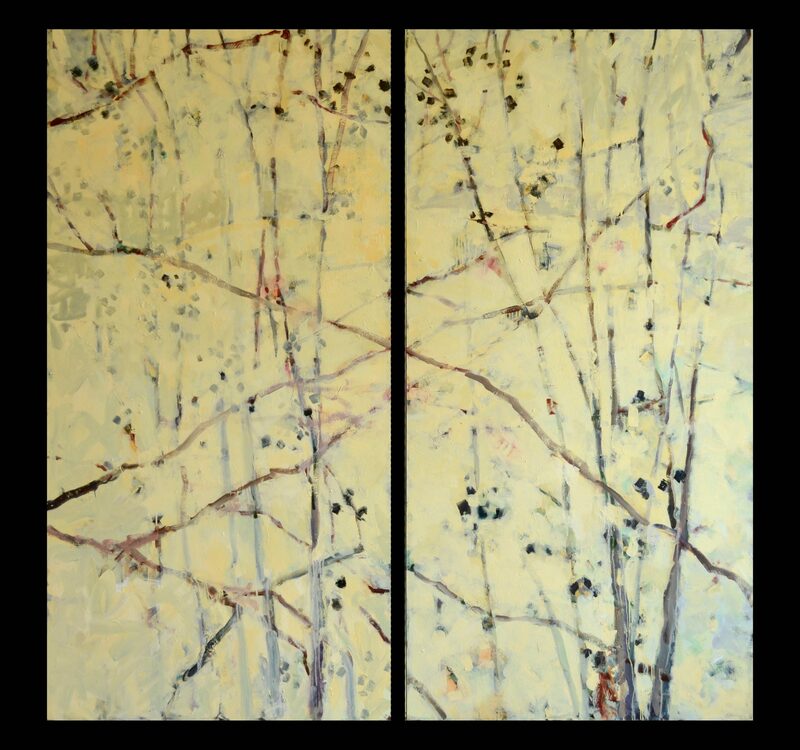 Comparing the visual effects of Sacramento Valley light to that of Southern France, Spain, New Mexico and the California coast, Mahony achieved an ethereal, but authentic, ambiance in her compositions. As a self-proclaimed colorist, Mahony embraced her foray into black and white as a challenge. 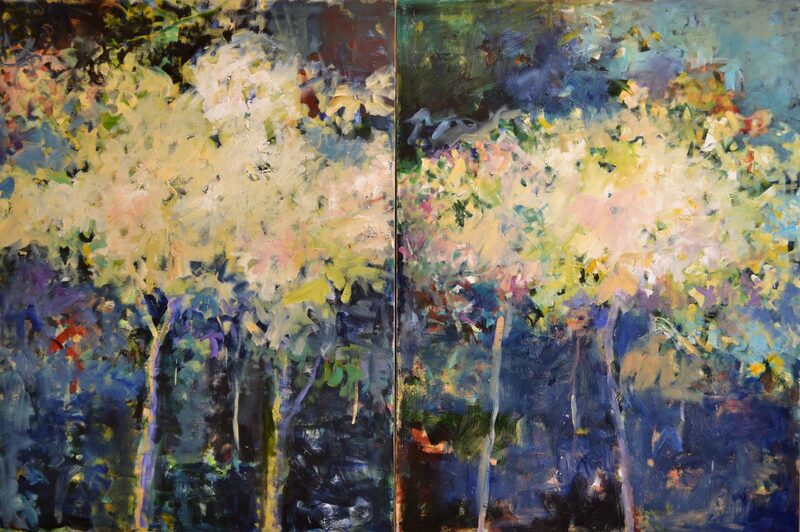 Her focus remains centered around how to convey the same dramatic impression and intensity. 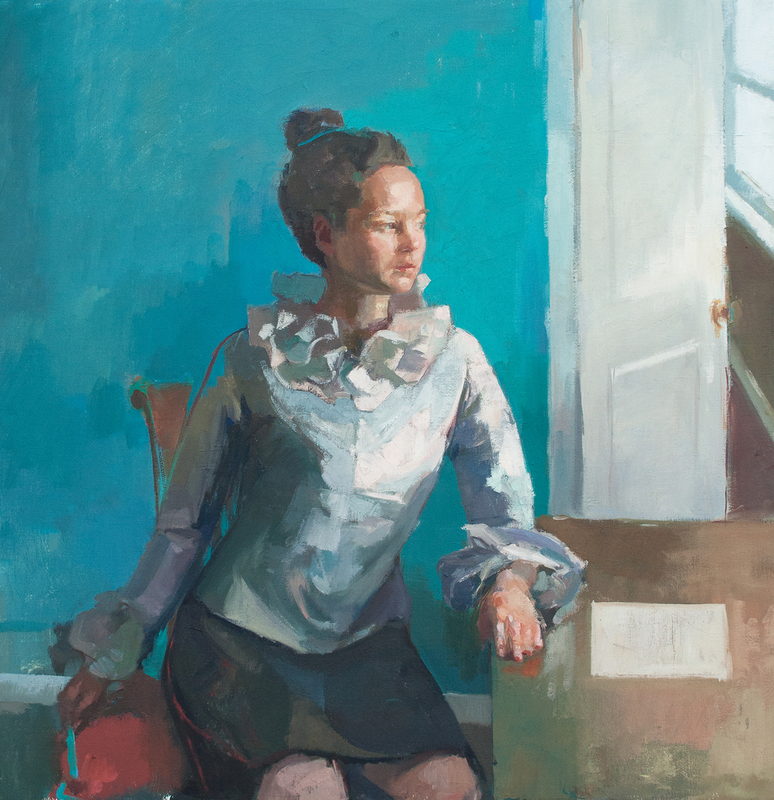 The paintings in this exhibition are the culmination of a career spent exploring the contrast of light and dark; the results are the closest Mahony has come to absolute abstraction—her ultimate goal.